Motorpoint is offering a selection of popular cars and vans at reduced prices over the Christmas period, with cars like the Vauxhall Corsa, Fiat 500 and Ford Mondeo. 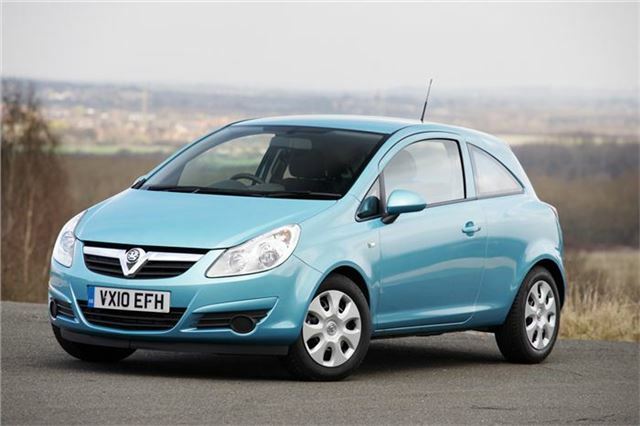 They have a choice of 60-plate five-door Vauxhall Corsa 1.3 CDTi EcoFlex models with mileages of around 11,000 miles, complete with metallic paint, all priced at £8,999 -which is £5,668 less than the new RRP price. There are also 60-plate Ford Mondeo 1.8 TDCi Sport models for £11,699, all with mileages below 15,000, and Ford Focus 1.6 TDCi Sport models on 11-plates for £10,799. Motorpoint also has a rare matt black Fiat 500 1.2 Blackjack on an 11-plate with just 2,306 miles on the clock, priced at £10,999. There’s also a selection of commercial vehicles on offer, including Fiat Ducato 35 LWB high-roof vans with delivery miles, priced at £12,999, and Fiat Scudo L1 10Q 90 vans, also with delivery miles, for £8999. For more information these offers and a selection of others, visit www.motorpoint.co.uk.